The National Domestic Workers Union (NDWU) was founded in Atlanta in 1968 by Dorothy Bolden, who wanted to set standards for salaries and benefits received by women who were employed as domestic workers. Under the direction of Bolden, the NDWU began an employment service, a “Homemaking Skills” program, and a “maids Honor Day” to bring attention to the importance of work that was long seen as menial and unworthy of adequate pay and recognition. Ms. Bolden also served as the president of NDWU. The Records of the National Domestic Workers Union, contain correspondence with Julian Bond, Sam Nunn, Herman Talmadge, Andrew Young, and other Georgia and national political figures. Subject files cover NDWU’s involvement in the black community, Bolden’s work with the the Metropolitan Atlanta Rapid Transit Authority (MARTA), and the Secretary’s Advisory Committee on the Rights and Responsibilities of Women of Health, Education, and Welfare. The collection also includes financial documents, minutes of NDWU meetings, proclamations, resolutions, and photographs. The Southern Labor Archives and the Georgia Government Documentation Project are available for research in the Special Collections and Archives department of Georgia State University Library, located on the 8th floor of Library South. If you have questions about our collections, please contact us at 404.413.2880 or archives@gsu.edu. 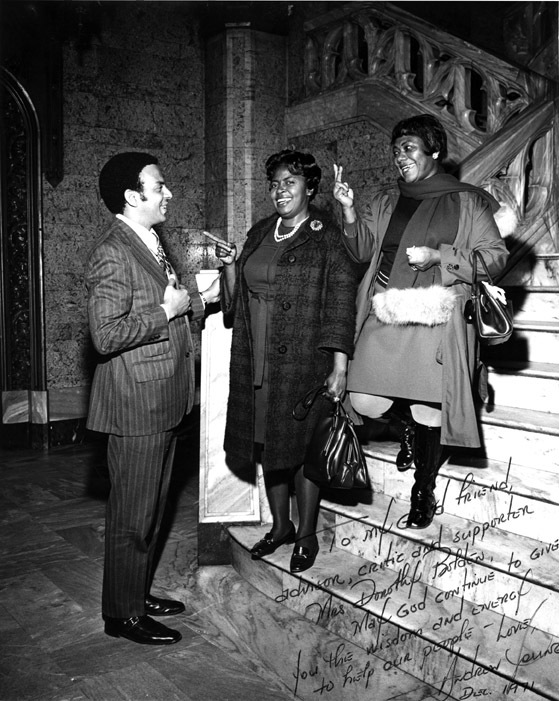 Photo credit: The photograph is part of the NDWU records and shows Bolden, center, with Andrew Young and an unidentified woman. This entry was posted in African American Studies, For Faculty, For Graduate Students, For Students, History, Sociology, Special Collections & Archives, Women's, Gender, and Sexuality Studies. Bookmark the permalink.